Each home includes a base package of highly desirable smart home functions and is pre-wired for several personalization packages. 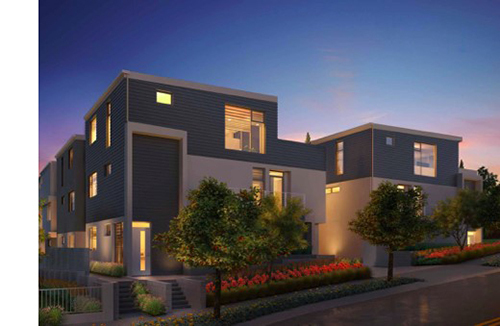 PETALUMA, CALIFORNIA – Nortek Security & Control LLC (NSC) today announced that California home builder RC Homes, Inc. is pre-installing the ELAN smart home automation system in 27 homes across three new Los Angeles communities. Irvine, California-based electronics integrator, Smart Systems Technologies, Inc., will install a standard ELAN package in each home through the ELAN New Home Program, which offers homebuyers mobile app control of a video doorbell, smart thermostat and smart light switches. Each of the 27 three-story, single-family homes will be pre-wired for additional control and automation, which RC Homes and Smart Systems Technologies are offering in three personalized packages that fulfill security, access and media control needs. The Peace of Mind package adds an app-controlled smart door lock, smart garage door opener and a surveillance camera for the garage so that the homeowner can talk to a front door visitor and let them in the door or garage remotely from the app. Many new homebuyers are rightly concerned about the common occurrence of package theft, and this package alleviates any need for packages to be left outside the home. The Safe & Sound package includes a 2GIG→ security system that can be armed and disarmed via any ELAN interface, including mobile devices. 2GiG is fully integrated into the ELAN system, so the entire home can react to specific safety and security events. For example, fire alarm activation can automatically shut off the HVAC to prevent smoke from spreading through the house while turning on key interior lights to help occupants exit the home. The Media Room package option adds wiring for in-ceiling speakers, a subwoofer, and an AV receiver in the main living/entertaining space. In addition to the ELAN® automation system and available personalization packages, RC Homes, Inc. has designed each home with in-wall USB outlets in various rooms and in-wall tubing to hide HDMI and other cables for the main TV area. All three communities will be open in 2019, with Hyperion Silver Lake expected to begin sales in Fall 2018 and open its fully outfitted model home in December 2018. The model home will demonstrate all three personalization packages, allowing prospective buyers to see exactly what is available. The Griffith, an 11-home community also located in Silver Lake, will come next, followed by the eight-unit Fairfax At Sunset, located in West Hollywood. The alignment between ELAN, RC Homes and Smart Systems Technologies was enabled by the ELAN New Home Program wherein the technology manufacturer works with home builders to promote smart home automation as a basic home function and pair them with local integration experts. According to Jimmy Salloum, Vice President of Sales and Marketing for SST, the ELAN New Homes Program is presenting new installation opportunities and starting more conversations between builders and technology integrators. ELAN is actively working with RC Homes’ marketing and sales teams to maximize the messaging to prospective buyers and will have representatives on hand at the December open house at Hyperion Silver Lake. RC Homes is proudly marketing the technology as a major component of the homes, as seen on the Hyperion website’s Smart Home page. Integrators and builders who want to learn more about the new ELAN New Home Program can contact Bret Jacob by email at bret.jacob@nortekcontrol.com or by phone at (615) 815-8333. About Smart Systems Technologies, Inc.
Smart Systems Technologies Inc. (SST) is a total low voltage integrator. By incorporating intelligent high-speed wiring and combining it with independent smart systems, SST integrates a convenient technology life style. SST delivers this dream and 100% customer satisfaction with positive, optimistic, solution based employees. The company’s strength arises from its dedication to doing the job right the first time, every time, and recognition that the customer’s concerns are the top priority. For more information, visit. www.sstsun.com. RC Homes believes great homes start with great floor plans that embrace the nature of each home’s unique location and lifestyle. RC Homes is committed to supporting excellent design with high-quality construction methods and integration of the latest life-simplifying technologies. For more information, visit www.rchomesinc.com. ELAN, part of Nortek Security & Control LLC, develops an award-winning line of whole-house entertainment and control solutions distributed through a comprehensive channel of select dealers throughout the United States, Canada, and countries worldwide. The ELAN 8 update was honored with the “2017 Human Interface Product of the Year” award, and continues to expand its intuitive functionality with security, climate, surveillance and video distribution products and integrations. Nortek Security & Control LLC (NSC) is a global leader in smart connected devices and systems for residential, security, access control, and digital health markets. NSC and its partners have deployed more than 4 million connected systems and over 25 million security and home control sensors and peripherals. Through its family of brands including 2GIG®, ELAN®, Linear®, GoControl®, Mighty Mule®, IntelliVision®, and Numera®, NSC designs solutions for national telecoms, big box retailers, OEM partners, service providers, security dealers, technology integrators and consumers. Headquartered in Carlsbad, California, NSC has over 50 years of innovation and is dedicated to addressing the lifestyle and business needs of millions of customers every day. For further information, visit www.nortekcontrol.com.